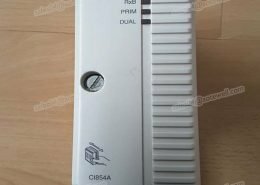 The ABB AC 800M controller is a family of rail-mounted modules, consisting of AC 800M CPUs, communication modules, power supply modules and various accessories. Several CPU modules are available that vary in terms of processing power, memory size, SIL-rating, and redundancy support. 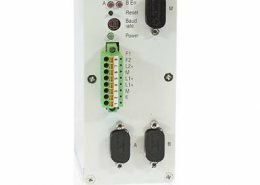 Each AC 800M CPU module is equipped with two Ethernet ports for communication with other controllers and for interaction with operators, engineers, managers, and higher level applications. A Flash memory card can be inserted into a slot in the AC 800M CPU module to store the application and data. The ABB AC 800M High-Integrity offers an IEC 61508 and TÜV-certified control environment for combining safety and business critical process control in one controller unit without sacrificing the safety integrity. The ABB AC 800M controller can be configured with both Compact Control Builder and ABB 800xA control builder. When configured with the Compact Control Builder the ABB AC 800M is open to participate in any kind of control solution. When configured with the ABB 800xA control builder AC 800M becomes a tightly integrated part of the 800xA DCS. Then offered and also described as a part of the ABB 800xA system offering. Several ABB AC800M CPU modules are available that vary in terms of processing power, memory size, and redundancy support. Each AC 800M CPU module is equipped with built in Ethernet port(s) for communication with other controllers and for interaction with operators, engineers, managers, and higher level applications. These ports can be configured for redundancy for those cases where availability is of paramount importance. 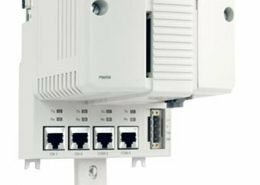 It is also equipped with two RS-232C ports that can be used for point-to-point communication with programming/debugging tools and with third-party systems and devices. I/O clusters on ModuleBus (local I/O) 1 el. + 1 opt. 1 el. + 7 opt. 1 el. + 7 opt. 1 el. + 7 opt. 1 el. + 7 opt. 1 el. + 7 opt. 1 el. + 7 opt. 0 el. + 7 opt. 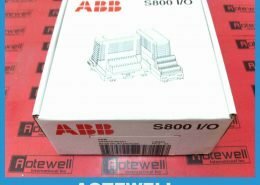 ABB AC 800 M Date sheet and Manual.